Last year Garrett Hellenthal et al. claimed that the Kalash people of the Hindu Kush received a large pulse of admixture from somewhere in the west, possibly Europe, as late as 327–326 BCE. They even suggested that Alexander's soldiers may have been the culprits. But this was naive and wrong. Now, Qasim Ayub et al. are claiming that the Kalash are an Ancient North Eurasian (ANE) population that has remained genetically isolated for the past 11,800 years. This is also naive and wrong. One day, perhaps in the not too distant future, someone will study the population history of the Hindu Kush using ancient DNA and methods that actually work. What I think they will find is that the Kalash, just like most of their neighbors, are largely the result of an admixture event during the Bronze Age between Indo-Iranian migrants from the steppe and Central Asian agriculturists. They will confirm that the Kalash are an extreme isolate, but only since the Bronze Age, not the early Neolithic. These results will correlate very nicely with mainstream linguistics and archeology, latest expansion dates for uniparental markers, and even common sense. i think you are righter than those papers. though i would add they clearly have some ASI admixture, albeit at lower levels. Maybe the second paper is correct. Don't the kalash have an exceptional amount of ANE? Also, maybe the ANE like ancestors of the kalash were already isolated from other surviving ANE lineages today, before they even got to the hindu kush. Basically, maybe a weird group of ANE people moved to the hindu kush unlike the other indo iranians of the area. Maybe the agriculturists of the Hindu Kush were partly ASI? Apparently the farmers of nearby Mehrgarh had Southeast Asian tooth morphology, but who knows what their DNA was like? When the Kalash are limited to a few samples, so that they don't screw up ADMIXTURE runs, they don't differ much in genetic structure from their Indo-Iranian neighbors. I'm starting to think that population genetics degrees should have common sense as a subject. Agree modelling Kalash as totally unadmixed, or recently admixed may be unrealistic. The total lack of expansion in the LCT haplotype in the Kalash is interesting. Suggests that whatever, probably low level, admixture allowed the LCT haplotype to become common elsewhere in West Eurasia happened after they got the Kalash pulse. Their PCA displacement away from other South and Central Asians near to them, shows them away from the pole representing shift by ENA and to a lesser extent Europe away from South Asia. There's some dimensionality there where they are more South Indian like without being more East Asian like. Feels unlikely isolation alone could account for that? On the f3 statistics, it may be more marginal than the MA1 and La Brana signals, but it seemed interesting as well that they tilted towards Otzi relative to the French and Han more than other South-Central Eurasian people. That's odd if you're model is just "Oh well, the French have this steppe admixture, so the Kalash should be closer to them than Otzi, who lacks it" (and of course it seems completely sensible that the French should have such admixture in the light of Haak 2015). Although perhaps time and drift could account for that. Amazing and how they became IE speakers without admixing? I'm guessing by pigeon post. But a better question is how did they get their R-M417 without admixing? Is there any chance you could do a K15 on Tinyuan and couple of the Uneticians ? I don't have the Tianyuan genome. It's just a low coverage chromosome 22 anyway, so I probably wouldn't be able to run it with the K15. But here are a couple of Unetice genomes. If R1a1 (M17) is the cause of the indoeuropeanization of the Kalash, its share is c. 20 %. The share of the dark blue northwest Eurasian component in Kalash is c. 10%. That fits quite nicely with R1a1 percentage, if again the male input is bigger than the female input, which we could assume on the basis of Kalash mtDNA as Kalash seem to lack for example mtDNA U5a and their U4 should be very particular and not found elsewhere. The Kalash look like they should (a "Baloch of the North", so to speak, that has more Steppe/IE admixture), it's just difficult to pin down a date for when they became isolated and the genetic drift makes them difficult to deal with in Admixture. Their ancestry probably reflects a "Gedrosian" type heritage similar to the Baloch but with more ANE and Steppe/Central Asian WHG, reflecting their northernly location, after which they presumably became isolated. Bronze Age sounds as good a guess as any. I don't think they are a West Asian migration that became isolated. I think ANE/ENF admixture happened in South Central Asia as well as West Asia in one giant arc of migrations. Just my guess though. I do see merit to the paper: the TreeMix data converges with other data. Notice that they do not use the term "ANE" at any point but rather Fig. 2D (which they argue is backed by the rest of the data) supports an early divergence of Kalash from a South-Central Asian population, above the ANI/ASI divide apparently (although the use of these terms is again not in the paper, just an interpretation I make). This high apparent split could be actually caused by admixture (as is probably the case among the next branch: Uzbeks/Hazara) but TreeMix consistently shows no admixture events in the Kalash, so, if any, it must have a negligible impact. In this sense, I think Kristiina's comment is thoughtful but I keep strong reservations to the association of M17 with Indoeuropeanization. What is clear in the ADMIXTURE data is that the dark blue element, that indicates European-like admixture, is nearly zero among Kalash, absolutely zero in those Kalash that appear "purer" (greener). The association of this tiny dark blue component in some Kalash is always with a much larger light blue one, what rather suggests something like Gujarati-like admixture rather than European. Judging on autosomal DNA there's nothing obviously European-like among the Kalash. Judging on Y-DNA, M17 is not enough to suggest European origins as most likely it's Z93, which originated in Asia and quite to the south of it. So yeah, "pidgeon droppings". Or rather seriously: languages are vehicles of communication, they are not genetic. Peoples learn and loose languages with relative ease in a matter of generations just because of contact, contact that does not need to be with the original ultimate speakers of the language (or language family) but with actual speakers that may carry only a tiny drop of blood from those, if at all. Very interesting paper, although not so easy to interpret. cannot imagine that they were not touched by the expansion of farmers. Eurasian, but found also in a Xiongnu cemetery in Mongolia. J2 is Near Eastern. came from Western Eurasia to Siberia, as the Y Hg R*? I think if aDNA as far as i know is drawn from those areas it will be simply the reverse. common sense its not so common specially if we see the case of ''mainstream linguistics and archeology'' that you call of. Kristiina, can you give links to those studies with Kalash Y DNA and mtDNA? a Siberian ancestry only for female"
There's nothing confirmed U2e and U4 are from Siberia. Today they're found everywhere in West Eurasia, Central Asia, Siberia, and South Asia at low frequencies. IF the U2e and U4 in Kalash are not the result of multiple founder effects that'll be very interesting. Check this out!!! Tobus kindly plugged in the D-stats for me, because I don't know how to do it. For understanding D-stats see here..
More than 2 branches of ancient Eurasians created EHG/SHG/Jap(it could be 3 and it could be 100). Jap and EHG/SHG share ancestry that WHG/ANE and Onge don't. Therefore it is impossible for EHG/SHG to descend 100% from the same "West Eurasian" branch as WHG/ANE and it's impossible for Japanese to descend 100% from the same "East Eurasian" branch as Onge. My wild guess, which I don't have alot of confidence in(considering all the tree-like possibilities), is that there was a 3rd branch of "Crown Eurasians' independent of East and West Eurasians, that contributed ancestry to SHG/EHG and Japanese. Note also that: Karelia_HG had mtDNA C1 which is typical for Native Americans. Also, Native Americans are equally close to Karelia_HG and MA1. Is this because EHG and Native Americans share ancestry via ANE and a third branch of Crown Eurasians? When I noted that the Kalash have 10% of dark blue northwest Eurasian component, I was looking at Davidski’s Teal K9 chart. I have understood that populations that have been isolated for a long time easily make up their own clusters, which does not mean that there has not been admixture events in the past. As far as I remember Onge were always the East Asian reference in recent ancient DNA studies. If Japanese or Han were added along with Onge and EHG, maybe it would have revealed a third Crown Eurasian branch. Nirjhar, you write that ”so, maybe [the Kalash] isolated already in Neolithic times, coming directly from West Asia”. I assume that you think that pre-HV is the same as Near Eastern R0. Is it so? In the Quintana-Murci et al paper pre-HV is found in Anatolian Turks (4%), Caucasus (3.4%), Lur of Iran (11.8%), Karachi Pakistanis (2%), Pathans (6.8%) and Turkmens (4.9%), but is interestingly absent in many Iranian populations. I would assume that U2e, U4 and U7 are not from Near East but have an origin in Central Asia/steppe (U2e, U4) and Iran (U7). On the basis of TreeMix (Fig S3), there is no movement from west to east but from east to west, i.e the deepest branches are Sherpa, Hazara and Burusho and the most recent branches are in the Near East. There is an arrow going from Tajiks (?) to Bedouins but not any arrows from the Near East (e.g. from Turks, Iranians, Armenians or Palestinians) to the East. Davidski, would it be possible to run Gujarati samples (all, A, B, C, D or however many there are) through the West Eurasia K8? 1. "WHG, ANE, and K14 are equally close to Jap and Onge" BUT "EHG and SHG are closer to Jap than to Onge". This means that EHG and SHG do not just have ANE but also East Asian admixture, as the presence of mtDNA C in early Holocene East Europe could suggest. Probably the most straightforward interpretation is that the proto-Uralics were already there, not just affecting East Europe but also seemingly Central Sweden. 2. On the last blocs, the apparently contradictory behavior of Ma1 and K14, surely just indicates that Lochsbour and K14 share Euro-Aurigancian roots (to the exclusion of Ma1) and that Lochsbour and Ma1 share Gravettian roots (to the exclusion of K14, too old for Gravettian influence). In other words, Lochsbour can be considered as an admixture of some of the ancestors of K14 (European Aurignacian) and of Ma1 (Gravettian). This also implies that everyone in West Eurasia or at the very least Europe has some ANE (Ma1) affinity because there is a common West Eurasian ancestry (Aurignacoid but previous to Euro-Aurignacian specifics) and then also the common Gravettian ancestry (which is not present in K14). Maybe Davidski can do a F3 stat testing if Loschbour fits as a mixture of K14 and MA1. If it comes out negative that'll be a big deal. The F3 stat testing Karelia_HG as a mixture of an East Asian and Loschbour would come out negative. A F3 stat testing Karelia_HG as a mixture of Onge and Loschbour though would come out positive. There's a type of ancestry Japanese share with Onge that Karelia_HG lacks, and a type of ancestry Japanese shares with Karelia_HG that Onge lacks. IMO, Karelia_HG is a mixture of ANE/WHG and an extinct-type of Eurasian that wasn't East or West Eurasian. Interestingly, one of the best models in the Haak et al. paper has WHG as being a mix between ANE/EHG and something that split after ENA, but before ANE/EHG (one could call it "Basal West Eurasian"). K14 is an excellent candidate for something like a "Basal West Eurasian" population. So, you guys have found something that is exceedingly pertinent. To me, having WHG as a mix of North Eurasian + Basal West Eurasian makes good sense. But the ENA affinity for EHG/SHG wasn't recognized in the paper, which makes this even more of a cool find. It seems our hunch was right, the Onge aren't that good of a proxy for NE Asian/Arctic ENA ancestry in EHG/SHG. You might he onto something.! "think it's possible that Motala hunters went extinct, or certainly didn't pass on anything that can be easily found." How would you reconcile this? I'm suspicious that something else (isolation? drift? archaic?) in Onge/Papuan might be throwing the results out. So I'd suggest cross-checking with other outgroups before taking it as fact. When it comes to K14, it's always possible that it didn't really have any "Basal Eurasian" admixture. Rather, since it's so old, it probably wasn't subjected to much later processes of intra-Eurasian gene flow among the immediate ancestors of ENA+ANE+EHG+SHG+WHG. This is just a theory, although it is mentioned as a strong possibility in Haak et al. Regardless, an interesting pattern to be noticed on PCA plots (and quite often in other informal analyses) is that WHG samples tend to be much closer to living Near Easterners (and much more distant from living ENA populations), in comparison to the actual MA-1 sample, and in comparison to David's synthetic ANE samples. So, if WHG really are around 90% something close to K14 + 10% something close to MA-1 and the EHG samples, this could be explicable. We also shouldn't forget that TreeMix often comes up with a "Basal Eurasian" or African migration edge into La Brana-1, a phenomenon which still isn't clearly understood. As more aDNA samples come in, I think we are going to find that the human "family tree" is far from being a tree, and far closer to being an exceedingly complex, heavily reticulated rhizome. The phylogenetic position of K14, and the complex affinities of EHG with regard to ANE and WHG (and, based on the stats Krefter showed us, also with regard to ENA), are just a preview of the "confusion" (perhaps that isn't really the right word) that is to come. Maybe Denisovan admixture is the "problem"? I agree with what yr saying; but given that K14 is Hg C, and his K15 shows virtually all components incl Oceanian and Amerindian, I think he does have something more basal in him than just "basal west eurasian". I've found .5% SSA and 5% SA, in LaBrana. I have the Onge, so hopefully that will clear it up. As far as archaic stuff, I believe the Onge were said to have no Denisovan ancestry, unlike other ENA. I am doing some K runs with the Onge, and 2400 other samples. I will post k results, as they make sense. "As more aDNA samples come in, I think we are going to find that the human "family tree" is far from being a tree, and far closer to being an exceedingly complex, heavily reticulated rhizome." That's why people should sample more recent ancient genomes than Upper Palaeolithic ancient genomes. We don't need to understand the crazy complex tree of humanity to understand the genetic origins of certain regions/populations. That's what Haak did using genomes ranging from 8,000-3,000YBP. They almost got to historical times. "WHG really are around 90% something close to K14 + 10%"
It's interesting though that WHG cluster close to modern Middle easterners, but I was beginning to entertain that WHG met-population split off somewhere closer to Central Asia than the near East. "That's why people should sample more recent ancient genomes than Upper Palaeolithic ancient genomes." Definitely, it would be awesome to see some Neolithic and Bronze Age samples from Central, South, and West Asia. Also, we currently have no Upper Paleolithic aDNA data from outside the North Eurasian and European belt, even though the big picture is going to hinge on aDNA from more southerly regions (as the "north" was populated from the "south", if we are talking about deep human history). On an intuitive basis, I agree. But the model in Haak et al. had Loschbour at 89% "Basal West Eurasian", and 11% ANE/EHG. Obviously, this model could be wrong. I guess time will tell. Those results are going to be very interesting, I look forward to seeing the output. The thing about UP genomes is that they don't tell us anything if we don't have one every couple of thousand years in the same place. These folks are so far back on the tree and un-drifted compared to Mesolithic samples. Modeling something based on a genome that is 20-30k years older will not be informative. That is why I don't like ANE. I prefer EHG, and Amerindian/Clovis. These are a clear cline. I don't think it's wise to say that something has no ANE, because there is over 20k years for these people to migrate around. All we have ANE, relative to such and such. If we model people on one genome that is 20-30k years old, then all components should be that old. Everything is a mix of a mix. Loschbour could very well be 10-48% EHG. We just don't know. So if WHG is basal west eurasian (as in K14) plus some ANE, then there must have been several flows from "ANE-land"; not just Eneolithic but UP also ?! "Definitely, it would be awesome to see some Neolithic and Bronze Age samples from Central, South, and West Asia." We probably will in the next several years. Sorry - final request ! Can you plug in those 2 Unetice samples into Chad's 'Steppe K10' please ? @Seinudzeit: "To me, having WHG as a mix of North Eurasian + Basal West Eurasian makes good sense". Problem for me is that "North Eurasian" would be Ma1, when I was rather implying that Ma1 is also a mix itself: on one side the Ancient Siberian that is partly ancestral to Native Americans (their "Western" ancestry branch) and on the other the Gravettian component which is Paleo-European (but only part of the whole Paleo-European thing). I'm of course reconstructing this also from the archaeological trail and not just the genetic ones. "As more aDNA samples come in, I think we are going to find that the human "family tree" is far from being a tree, and far closer to being an exceedingly complex, heavily reticulated rhizome". Almost certainly. Although IMO it should not be so extremely reticulated (if you keep to the big picture), there should be some criss-crossing necessarily. "Maybe Denisovan admixture is the "problem" [with using Onge as outgroup]?" The Onge are not known to have any Denisovan admixture. Seems something very specific of Oceania and nearby islands. The only "Negrito" population that has it are Filipino Negritos. Neither the Onge nor the Orang Asli seem to have any detectable Denisovan trace. So if there's something to it, I would lean for drift/isolation. It shouldn't be the Y-DNA D either because it is very abundant in Japan also. Anyhow Lazaridis et al. exchanged Onge by Dai and the results were very similar. 1.1. Primeval Central Asian (the proto-Amerind element in Ma1), corresponds to the Central Asian/Siberian branch of earliest UP. 1.2. Primeval West Eurasian - corresponds to the earliest West Asian UP. (Note: I made some simplifications in order not to clutter the explanation with unnecessary detail and doubts, but the essentials should be here). Yes, I like your 'layering'. Also remember that K14 is a new arrival in Russia/ Eastern Europe, a hiatus after the Volcano event 40 kya. So he must have come already pre-mixed to Russia, presumably from somwhere like Temneta Dupka or Bacho Kiro. Did you read that Italian proto-Aurignacian mtDNA sample ? So far, I'm just looking at the genetic details. Also, for what it's worth, I had Papuan in mind, rather than Onge. Although, there is an exceedingly interesting preprint at Biorxiv, in which the suggestion is made that minor Denisovan admixture exists in most ENA populations, including the Onge. "Did you read that Italian proto-Aurignacian mtDNA sample ?" That they were modern humans and not Neanderthals, yes. But for simplicity I am subsuming proto-Aurignacian in either the Aurignacian or the previous 1.2. * "basal West Eurasian minus Siberian" layer. "Although, there is an exceedingly interesting preprint at Biorxiv, in which the suggestion is made that minor Denisovan admixture exists in most ENA populations, including the Onge". It would be something insignificant and not different from what Japanese would have anyhow, right? K6 was rather boring, as expected. Onge come up at 63% Papuan, 8% West Eurasian, 3% Native American, and 26% East Eurasian. I'm starting the K7, now. Probably, but it would be best if I check the actual paper. For what it's worth, Zack's Onge component appeared at K=11. So you might have a long way to go, but even this output is pretty interesting. I guess it might mean that the Onge are intermediate between Oceanians and East Asians, but closer to Oceanians, which makes sense. As soon as it pops up, I'll put in a dataset with the Paniya, just to get a good idea of what South Asian is. Quote:"The results of these analyses indicate that there have indeed been multiple layers of admixture detectable in most of the Siberian populations, with considerable differences in the admixture histories of individual populations, and with the earliest events dated to not more than 4500 years ago. Furthermore, most of the populations of Siberia included here, even those settled far to the north, can be shown to have a southern origin. These results provide support for a recent population replacement in this region, with the northward expansions of different populations possibly being driven partly by the advent of pastoralism, especially reindeer domestication. " " Furthermore, mtDNA analysis of skeletal remains from Bronze Age archaeological sites in the eastern and western Altai shows that 5,000-3,000 ya mtDNA lineages in the eastern (Russian) Altai were exclusively of western Eurasian origin, while the mtDNA lineages in the western (Mongolian) Altai were exclusively eastern Eurasian. In contrast, all analysed skeletal remains from the Iron Age (2,800-1,800 ya) sites from the eastern and western Altai as well as from Kazakhstan (Pazyryk culture, traditionally associated with the Eastern Scythians and also with the Tarim mummies of western China ), reveal the presence of both western and eastern Eurasian mtDNA haplogroups , in agreement with the AHG inferred for Altaians. Since the peoples with western and eastern Eurasian ancestries co-existed in the Altai for a prolonged period of time , it is plausible that the admixture date of ~2,300 ya estimated for the Altaians captures admixture between these local groups and is not associated with any additional migration from the outside." Amazing claims there. Asian in Siberians is from Xiongnu related folks, and almost zero contribution from Mongols, outside of Buryats, through Siberia. Perhaps it would be possible to use the non-ENA part of Onge as a proxy for ASI. Onge share a common ancestor with Oceanians but have probably less mixing with them than the rest of South and East Eurasian since they are supposed to have much less if any Denisovan whereas Oceanian groups were a vector for transmission of Denisovan to other parts of Eurasia. They just resemble them more due to how long they've been isolated. There is a lot of talk about a Bronze Age or Neolithic sample for South Asians. While there is no Ancient DNA, there is a substitute that might finally allow for a better proxy than Onge. Does anyone remember a genetic study from two years back that found a 4kya sample of Indian DNA lodged amongst the Australian Aborigines? In some populations it was 10%, and I would like to know if it is possible to create a zombie using Aboriginal samples. Also, what does ENA stand for? ENA stands for Eastern non African or East Asian. Reich et al. (2009), I believe, had the Paniya at 64% ASI. Zach's k-run had them at 45% Onge. I don't think you can have ASI, without the Onge. The Kalash showed 0% Onge, in his run. I'll have something late tonight or tomorrow, to model ASI. A zombie might work, but why not just use South Indian tribes, who we *know* are carrying the relevant admixture, and in much larger amounts? According to the original Moorjani et al paper, the Onge are only distantly related to ASI in general, and they are more closely related to the ASI in some Indian populations than in others. But everyone else is heavily admixed, so the Onge are the only game in town. I will be astonished if the Harappan aDNA they are trying to recover isn't heavily ANI, so I doubt we are going to get aDNA for ASI any time soon either. To add to what Kristiina said about Kalash Y-DNA, there are 20 HGDP Kalash who have been repeatedly tested at higher resolution. They were 25% L1c-M357 (PK3 branch), 20% G2a2b2a-P303, 20% H1a1-M82, 20% R1a-Z2125, 5% J2a1*-Page55(xJ2a1a-M322, J2a1b-M67, J2a1h-M530), 5% J2b2-M241, 5% R2*-M479. Doesn't help much as these are mostly very widespread, H1a1 being pretty generically South Asian and the G and J generically West Eurasian. The R1a is typical for South Central Asia but common in South and West Asia as well. Probably the L1c and R2* are more-or-less local though. "A zombie might work, but why not just use South Indian tribes, who we *know* are carrying the relevant admixture, and in much larger amounts?" "According to the original Moorjani et al paper, the Onge are only distantly related to ASI in general, and they are more closely related to the ASI in some Indian populations than in others." Agreed. I suspect that the Onge were part of an Eastern Indian population whose descendants are most concentrated in Orissa, Chattisgarh and Jharkhand. "I will be astonished if the Harappan aDNA they are trying to recover isn't heavily ANI, so I doubt we are going to get aDNA for ASI any time soon either." There are South Indian megalithic burials. Some of the drier highland regions in India might yield some well preserved DNA. If not, then the Indo-Australian sample provides a great proxy. @Mike: "Was a Gravettian proprie dictii found in Siberia ?" Yes, absolutely, make a search for Mal'ta archaeology, please. Before the age of genetics the site was most popular for its plumpy venuses. It has some peculiarities but everybody does. 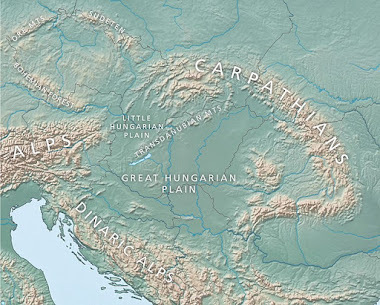 We know that Gravettian had a center of expansion (as Aurignacian before it) in Central Europe. It's probable that its precursors arrived from West Asia and forcibly replaced Aurignacian people in many areas (new sites, etc.) By the time Gravettian reached Central Siberia the precursors of Native Americans were surely already around Manchuria, so they were not affected by the Gravettian influence, which never went beyond Lake Baikal. @aniasi: the Australian Aboriginal claimed link was not really credible: they are very different populations. Re: Australian and Indian relatedness, I'm skeptical of it - that paper was issued that idea before the use of formal admixture statistics was common (D statistics, f4). There's a new paper by Stoneking and Qin into admixture from Denisovans and Neanderthal into people from Eurasia and the New World - http://biorxiv.org/content/early/2015/04/03/017475. And it has a table S5 which measures "Genetic affinity of EE/NA populations with New Guineans and Australians" via an f4 statistic - "(f4) Yoruba, X; New Guinean, Australian) for each EE/NA population. Closer genetic affinity with New Guineans will yield negative f4 statistics, while closer affinities with Australians will yield positive statistics." EE included some groups from South India and Andaman (Onge, Mala) and neither of these had a statistically significant connection in either direction (in contrast to Tongans etc with recent New Guinean related ancestry, who were significantly more related to New Guineans than Australians). Basicaly Onge and Mala are equally related to Australians and New Guineans. Shouldn't happen if the Aussies have real Indian ancestry. These are "Western" Australians though. The argument is not for closer relatedness. Rather it is a distinct admixture signal in Northern Australian populations that indicates some remnant of a Harappan period population that somehow found themselves on the continent. There is also the matter of archaeological evidence of a new culture spreading. Harappa previously did detect 'South Asian' components amongst Aboriginals, but it will take more to see what the population looks like, and if any modern caste or tribe looks similar. @aniasi: That study is quite questionable, IMO. The ADMIXTURE analysis is poor and only a TreeMix results may stand. This result suggest some minor migration from India to Australia and not vice versa, what would still render Australian Aboriginals a horrible proxy for South Asians. "That study is quite questionable, IMO. The ADMIXTURE analysis is poor and only a TreeMix results may stand. This result suggest some minor migration from India to Australia and not vice versa, what would still render Australian Aboriginals a horrible proxy for South Asians." Fair enough, but I am not proposing using Aboriginals as a proxy. Rather, I am talking about taking the component associated with that migration and using it to build extract a population, as has been done with ANE in Siberian Samples. "Re: Australian and Indian relatedness, I'm skeptical of it - that paper was issued that idea before the use of formal admixture statistics was common (D statistics, f4)." Aussies and indians are definitely related. The human brain and eye can easily detect. Granted its subjective but sensitive. It's an uncanny resemblance not shared by intervening SE asia, Not only Phenotypic resemblance peculiar Phonemes and speech cadence features. Any south asian will recognize it. Non south asians will not be as sensitive to this. It's very subjective what you say, Postneo, and it contradicts A LOT of genetic data, be it autosomal, Y-DNA or mtDNA that does not show any particular relatedness. That typology, what used to be the catch-all anthropometric term "Australoid", is effectively meaningless and rather demonstrates that there was a lot of egotic Eurocentrism in that field, creating unified categories where there is a lot of diversity and seeing diversity where there is a quite impressive uniformity - the concept "Caucasoid" seems the only one worth keeping from all that speculative stuff (genetics support it and when you peel off the skin and hair is impossible to take apart an Egyptian from a Norwegian) but otherwise such old school biometric categorization is very much misleading because categories such as "Australoid" or "Negroid" are mere catch-all concepts designed by Eurocentric bias hiding huge diversity, even "Mongoloid" is not really a serious category beyond a core (that actually seems to exclude Mongols among many others, so call it "Sinoid" if anything). The subjective categorization "Australoid" (loose old school sense) seems to rather mean "everything we could not consider Caucasoid or Mongoloid out of Africa". If there is a seed of true in that subjective impression it'd be that that range of phenotypes approximates the original ones of the OoA peoples, however I would include Caucasoids into that category: they (we) seem very much "Australoid" when we go loose in that categorization, just more depigmented in many cases. If we go subjective, the only non-African grouping that is outside of the Super-Australoid category would be "Mongoloids" and that is (I speculate) because they had a very specific founder effect back in the day (more notable towards the North), which is indeed confirmed by genetic data. But anyhow, my opinion. In short: the similitude between Australian Aborigines and Indians you "see" is for me not totally unreal but exactly as real the similitude between those Aborigines (or Papuans) and Nordics (or other West Eurasians), which I do see myself often. And in any case, I'd say that Indians (even the darkest and more archaic-looking ones) are more similar to Europeans (very particularly in looks) than to Australian Aborigines. You just have to remove the pigmentation (or add it to Europeans) and voilá (note: believe or not, the two guys of the picture are Tamil cousins, just that one is albino). Thanks for your interesting comments, but I think you meant "Matt". I hadn't made any remarks about Indian-Aus Aboriginal relatedness. "And in any case, I'd say that Indians (even the darkest and more archaic-looking ones)"
Its got nothing to do with pigmentation. The resemblance is there even among seemingly caucasian looking indians. you need to focus on the cleft, protrusion of the upper lip, cheek bones. hair whorls on the head. You see it in lots of celebrities for e.g. There are rare clips of unaccented aboriginal speech. I detected series gemination, nasal retroflexion etc. Theres small little organelle in our brain dedicated to facial recognition and race perception. It gets calibrated by the population you grow up with. For e.g. I can often tell what state of India people are from by watching facial tics or features, before they have opened their mouth to say something. Thanks for the reply, Davidski! This type of explanation would work great toward removing the mistique from results variations. It is tedious, at best, to glean such a description from the blog.